During our spring fair, the keys of the first AVANT E5 in Europe were handed over. As our company values sustainable, eco-friendly production of our crops greatly, purchasing this new electrical AVANT made for a logical, informed investment. As such, we are proud to be the first company in Europe to start working with an electrically powered AVANT. 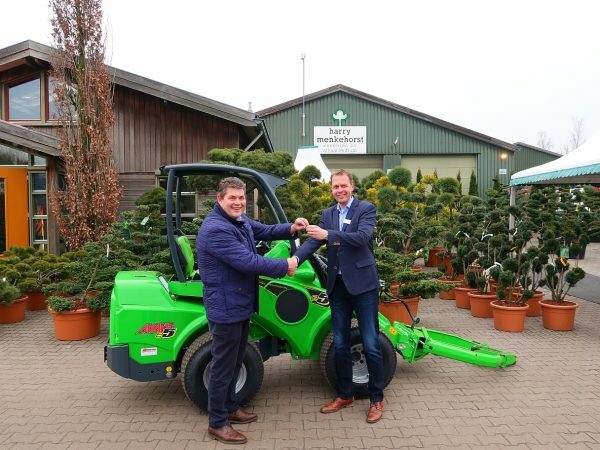 Tom Raepers with Avant Machinery: ‘Consumers and manufacturers alike are much more environmentally minded these days, and regulations regarding machine emissions are becoming increasingly strict. 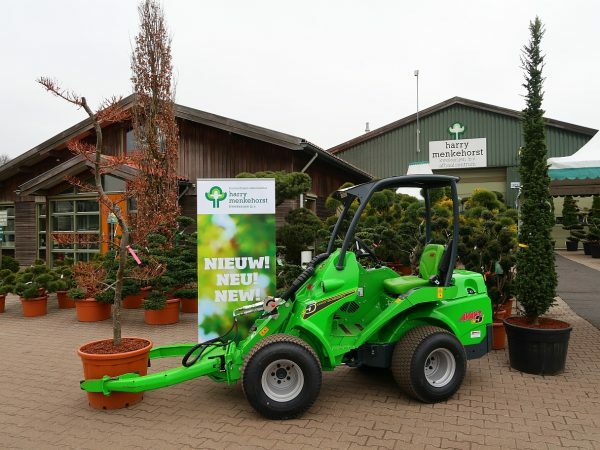 With its battery-powered articulated loader, Avant is responding to the growing demand for electrical machinery that causes less noise pollution and has zero emission of harmful substances.